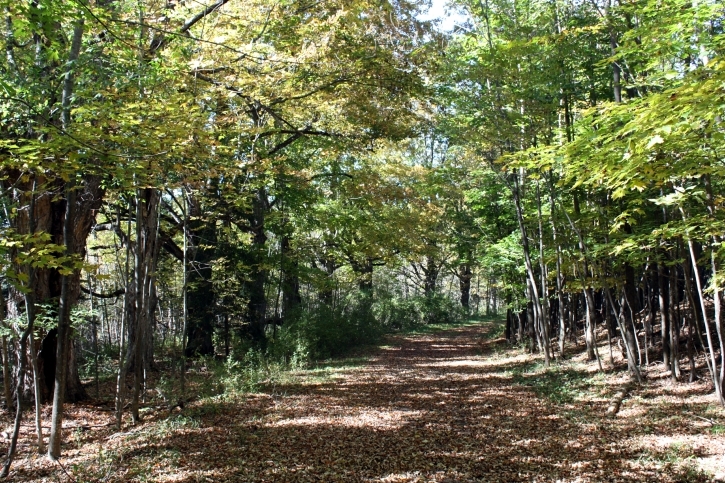 This drive, or “Maple Lane,”, was part of the original mile-long entrance to Hyde Hall as planned by George Clarke (1768-1835). The drive would have provided the traveler with a diversity of visual stimuli as it wound through Clarke’s estate. Views of open fields, stream crossings, densely wooded areas, and a glimpse of Clarke’s formal garden would all have been seen by the visitor before arriving at the limestone country home.